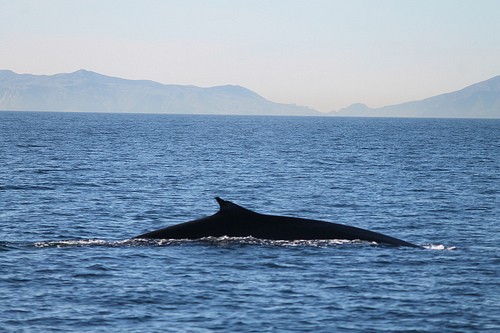 The North Atlantic fin whale is the largest mammal in the world after the blue whale and considered to be verging on extinction. Environmental campaigners recently revealed that the meat from such endangered whales caught off Iceland by the company, Hvalur hf – “Whale Ltd” – was being sold in Japan as upmarket dog treats. Michinoku Farm, a company based in Tokyo, was producing chews made from North Atlantic fin whales, marketing them as “low calorie, low fat, high protein” and suitable for dogs that are allergic to other meats. Clare Perry, a senior campaigner for the pressure group, the Environmental Investigation Agency, said that the use of this meat was “grotesque” and that internet retailers ought to take greater responsibility for the sustainability of the products they purvey. Google and Amazon have both prohibited the sale of whale products in Japan. Nanami Kurasawa, the head of the citizens’ action group, Iruka & Kujira Action Network, said that the attraction of such treats was that it provided affluent Japanese with “something different.” Kurusawa concluded, “I, for one, think this is a disgrace.” Japanese dogs are pampered, and toy dogs are often transported in prams. Michinoku also makes products from pig’s oesophagus, kangaroo hearts and Mongolian horse lungs, spine and cartilage. Michinoku withdrew the product from sales hours after uproar ensued, although it’s legal in Japan. The company’s president, Takuma Konno, pleaded, “Dogs are like family members for many people in Japan. We just wanted to sell a wide variety of food for dogs.” He added that while campaigners consider whales to be important, some people saw dogs as equally important, although he accepted that it wasn’t worth selling the product in question if people grew angry as a result and he admitted that he was perhaps ignorant of the debate over whaling. His company claims to be green because it uses geothermal energy to melt the fat of whale carcasses – evidently, the company holds that causing the deaths of animals belonging to an endangered species is no barrier to greenery. There’s an international ban on whaling, but Japan claims that it’s carrying out research while Iceland ignores the ban entirely. In Japan, the campaign against whaling is viewed as cultural imperialism and consumption of whale meat as a cultural tradition, with the Fisheries Minister, Yoshimasa Hayashi, saying criticism of whaling was “a kind of prejudice against Japanese culture.” 180 fin whales will be hunted by Iceland in 2013.